Hedera helix.ca.wikipedia.org. ( Accessed 5/2014). 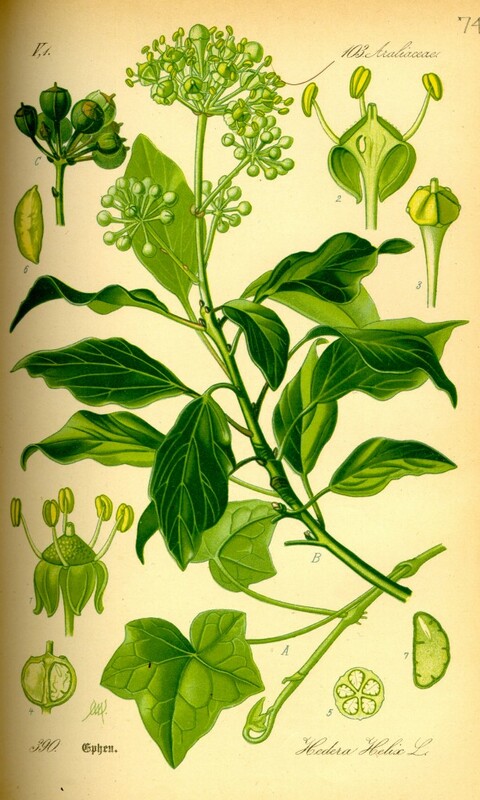 Hedera helix is an evergreen, woody vine, climbing to 30 m high by adventitious roots, or creeping ground cover, rooting in soil. 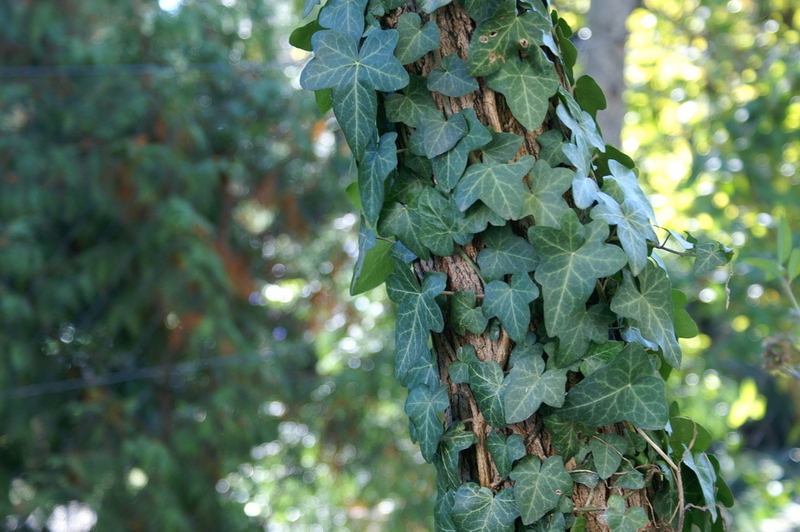 Leaves alternate, broad, 3-5 palmately lobed, changing shape to rounded or heart-shaped when vine climbs upward, will bloom only when climbing. Flowers small, green, in rounded clusters. Fruit fleshy, black, 1-2 seeded, probably eaten by birds, which disperse seeds. Habitat: Forest ground cover, very shade tolerant. From old house sites, garden waste, often spreads from landscaped areas into woods. Notes: Seedlings found rarely (personal observation). Dense ground cover that eliminates native herbs (Young 1996).